Real Feel Flower Ball - Foam Rose - Pomander Kissing Ball - 9 1/2" White - BUY MORE, SAVE MORE! Real Feel 20" X-Large White Foam Rose - Make Flower Walls! Exquisite and yummy! Our Real Feel White Floating Foam Roses look so realistic and feel so natural that you just can't help actually touching them! 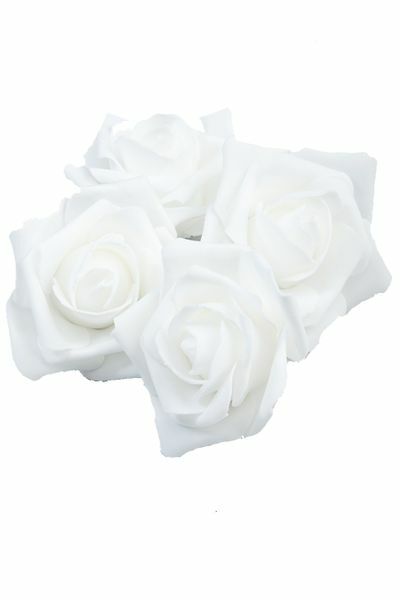 You will receive 12 roses, each at least 3" wide by 2 1/2" tall and these soft flowers are made with superior quality foam. 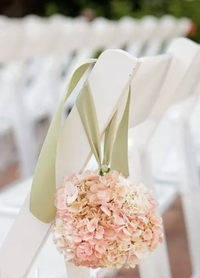 They will hold up under the most chaotic, frenzied conditions and this is one wedding and event Decor item you will not be fretting over, regardless of what the weather is doing. 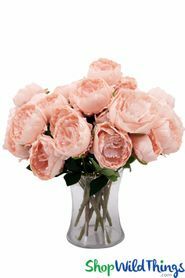 Roses are that one of a kind elegant flower that really adds class to any design and one of the best features is that these are multi-use florals. 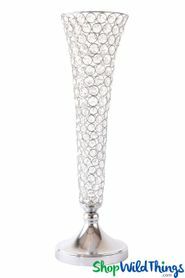 Float in Centerpiece Vases, fountains or any water feature, add glamour to wedding arches, use throughout your venue in Hanging Glass Holders, create bridal bouquets, boutonnieres or hair accessories, decorate a cake (they really look like icing so beware! ), use as a gift "bow" and DIY crafters absolutely love these roses! This foam is very forgiving and virtually crush-proof! You can pinch the petals, squeeze the roses and there is no damage. Using decorative pins or Hot Glue Sticks, you can attach these to crafting materials and the underside has a 3/4" in diameter area that's fairly flat so you can also glue them on, attach Velcro or a magnet. Foam also makes these flowers a natural in water and they'll stay afloat all day. Spritz the petals with water and it's amazing how long the drops stay put, creating a garden-fresh appearance! Add a bit of glitz by adhering rhinestone stickers to the petals. For showers, anniversaries, garden parties or any celebration, flowers are always a stylish addition and foam roses are the absolute best!